Anna Maria passed away on February 3, 2019 after losing her 13 year battle with Lyme disease. She was born in Hawthorne, NV on August 26, 1958 to Bobby H. and Shirley M. Nichols. Anna Maria’s father worked many jobs across Northern Nevada as she grew up. Anna Maria graduated with a GED from Great Basin College on June 2, 1976 and was married to Gordon Woodworth on June 5, 1976. They spent 42 years together before she passed away. Anna Maria was the owner/operator of Maria’s Karaoke until she became ill in 2006. For almost ten years she worked throughout Nevada, including Winnemucca, Battle Mountain, Crescent Valley, Carlin, Eureka and Elko. Anna Maria was preceded in death by her father, Bobby Nichols; step-mother, Barbara L. Nichols; mother, Shirley M. Ross and step-father, Jim Ross, all of Winnemucca, NV. 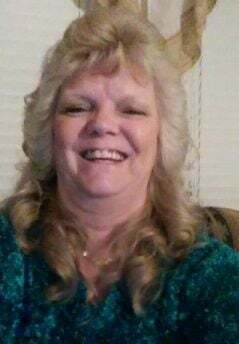 She is survived by her husband, Gordon Woodworth, Carlin, NV; son, Bobby W. Woodworth, Phoenix, AZ; daughter, Michelle L. Woodworth; grandchildren, Allen, Brandon and Gracie, of Elko; brothers, Gary G. Nichols, Elko; Larry D. Nichols, of Winnemucca; as well as numerous cousins, nieces and nephews from Missouri to California. No funeral has been planned for now. A celebration of Anna Maria’s life will be at a later date as the weather warms up.